What exactly is Marvel Heroes? Is it the Marvel version of Diablo? 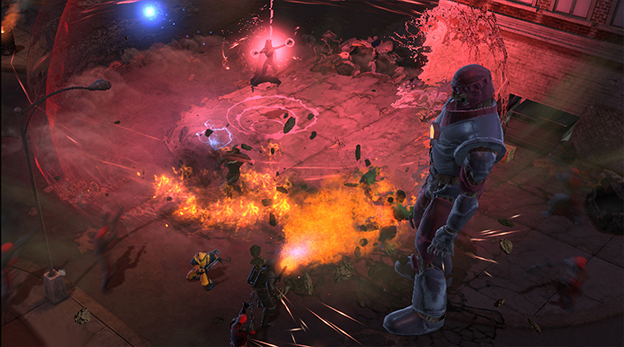 Perhaps it’s an MMO designed specifically for Marvel fans. Truth be told, there’s a little bit of both to be found in Marvel Heroes. But is that going to be enough to help it stand out next to the behemoths of the genres? Let’s find out together, shall we? 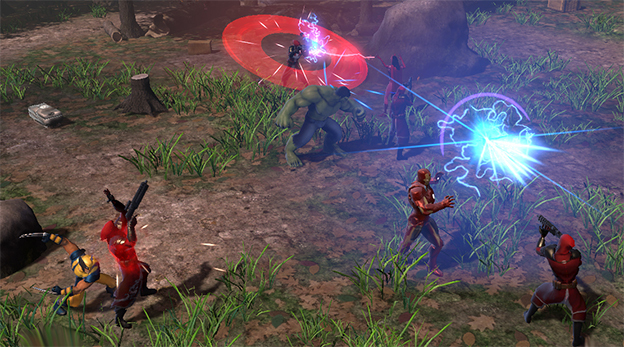 One of the interesting things about Marvel Heroes is the ability to switch characters on the fly. Swapping characters might not be necessarily groundbreaking for the Action RPG genre, but consider this: The cast of heroes in the game is incredibly impressive. From Wolverine and Deadpool to Rocket Raccoon and Black Panther, a total of 26 characters from the Marvel universe will be playable. Another eight will make appearances as non-playable heroes, and 22 will appear as villains. That’s a grand total of 56 Marvel characters to be found in the game. You won’t have access to all of the heroes from the start, though, so don’t think you can go all Wolverine from the get-go. You’ll have to earn and unlock other characters as you progress. I can go on and on about how each character will have their own specific level and skill build, items, and various costumes, but that’s just fancy shmancy talk. I know you want me to get down to brass tax: How does it play? That’s actually a pretty simple question to answer: It plays exactly like Diablo. Yep. It’s Diablo in the Marvel universe. Thank you for reading this preview. Good night. Oh, wait. You want to know more, don’t you? The comparisons to Diablo are inevitable due to the fact that the games control exactly the same. You’ll click to move, click to do basic auto attacks, and have special attacks hot-keyed. But, believe it or not, there is a key difference that stood out to me during the PAX East demo. There was a boss battle. A legitimate, end-of-the-level boss battle, something similar to what you’d see in, say, an MMO. The enemy had scripted attacks that required dodging, attacking when he was vulnerable, and a lot of patience. I can’t stress that last part enough. This guy wasn’t going to go down quickly. As you can expect, there will be oodles of loot to gain from killing your enemies. The traditional equipment items are present, as well as various costume buffs and unique procs for each hero. This helps to add to the game’s comic book flair while also giving extra incentive to keep grinding through dungeons. Transmogrifaction is a pretty big hit in World of Warcraft. If Marvel Heroes can deliver enough costumes to help people stand out in a crowd, I can guarantee you that there will be plenty of reason to keep going through dungeons. After all, it is the clothes that make the man. Well, sometimes it is; you’ll need stats and skill to back up that badass costume. 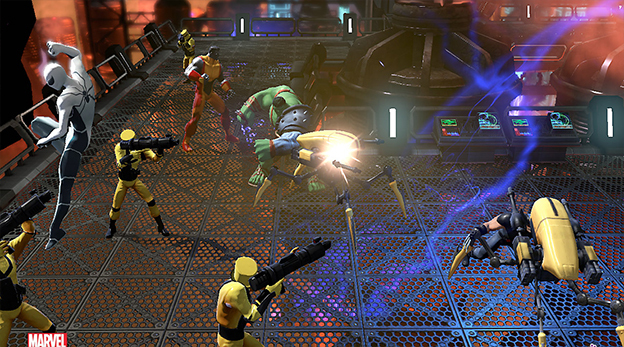 A boss battle like this was actually a refreshing change of pace, and if there’s plenty of similar encounters and small storylines similar to what we saw at PAX East, then Marvel Heroes could be extremely successful. I still worry about the longevity of the game though. Any type of Action RPG or MMO has to have some sort of end-game. What will Marvel Heroes’ be? PVP and group content are planned, but that’s always the plan with these types of games. The success of end-game is all about execution. None of that was on display at PAX. The best thing Marvel Heroes has going for it is the price tag: $0.00. It’s a free-to-play game from the start, so there won’t be any roadblock into trying the game out and seeing if it can meet your clicking addition. The allure of the Marvel universe alone will be enough to draw some in. The potential of a surprisingly deep game can bring in others. Should Marvel Heroes follow through on its execution and deliver on its promises, people will stay and enjoy the ride. 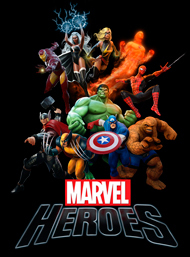 Play as Iron Man, Thor, Wolverine, Hulk, Spider Man, Captain America and many other famous heroes. Make your Hero unique with a range of spectacular powers and costumes. Discover enhancements to increase your hero's power. 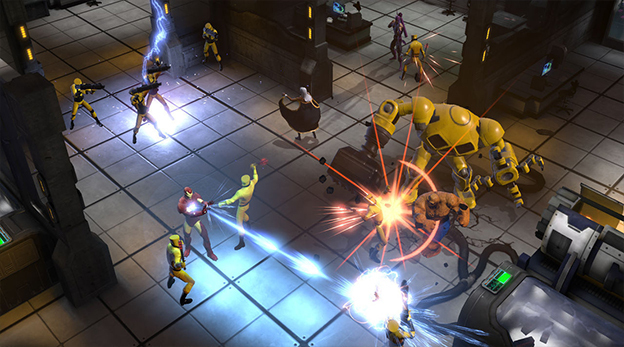 Smash through hordes of Marvel enemies and face off against iconic super villains.